Disclaimer: This product was offered to The Creative Folks for an honest review and premium account to the program. It is not a monetary paid promotion. The Creative Folks’ goal is to be 100% transparent with our readers. We stand behind the products we recommend and would not offer you anything that doesn’t align with our brand standards or something we haven’t tried ourselves. Affiliate links help The Creative Folks’ grow in partnerships and funds, if you’d like to be a partner with us feel free to contact us. For content creators today, what are you struggling with? Making content, perhaps? We are, too. The Creative Folks team takes a lot of time to strategically plan content we publish on our website and social medias. We can only imagine you’re doing the same for your creative business. Sometimes, after pumping out so much fun, interactive, and relevant content, we end up feeling burned out. The evolution of video-editing and GIFs in today’s digital space has made them essential linguistic tools for social media content—especially if you’re trying to target younger audiences (who share GIFs like Hot Cheetos). GIFs are engaging, because they’re relatable in their visual expression and language. Videos, on the contrary, serve as a more informative method for your brand’s message. Using videos on social media can be a challenge, because you have to capture your audience’s attention within the first few seconds and hang onto it. A good video requires careful editing and conceptualization. If you’re in the video-editing space, you’re probably used to Premiere Pro, Sony Vegas, Final Cut Pro, Windows Movie Maker, etc. For those not in that space or don’t have the time to learn it, Kapwing is a pretty decent alternative. We’ll talk about some of our favorite tools, and we’ll give a short run-through. Kapwing serves as a convenient tool overall. Again, it’s important to be clear about Kapwing and its capabilities. 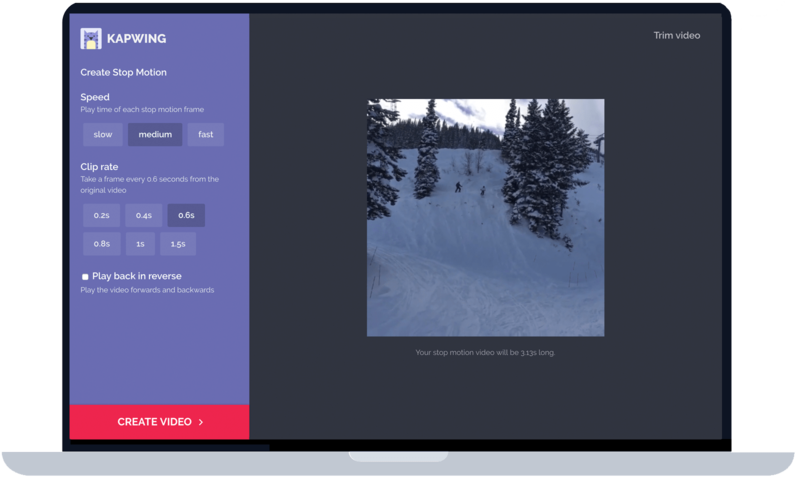 Kapwing is an online video editor, meaning that you can only use Kapwing if you have an internet connection. Kapwing has a lot of features, but if you’re looking for something more elaborate, you’re better off investing in a traditional video editor. Kapwing claims to have over 200,000 happy users and 2,000 satisfied customers. So what makes Kapwing achieve such satisfaction? First off, it’s FREE. That’s right, FUHHH-REEEEEEE. One of our favorite tools as a millennial team is meme maker from Kapwing. You could never be too clear when sending a message out to your audience. Kapwing’s add subtitles feature makes it easy to add extra clarification, and it can be a fun tool to add some humor. The process might be a little bit tedious for a first-time user, but it honestly will take some time to just see how the scroll bars and functions work. You’ll be on your way to adding subtitles in under 5 minutes. Kapwing’s minimal design makes it easy for new users and current users to learn key functions without being overwhelmed with editing options, which is usually found to be a problem in traditional editing software. Try it out! This feature has one con, however, because of Kapwing’s minimalistic and online base, we suggest that you limit your use of the subtitle feature to smaller or shorter clips. Longer clips that need subtitling may result in excess “timelines” (as seen in the image), which can become confusing as you go on. This feature is perfect for meme-material, the small clip you want for your next proposal, or just that key part of the video that you want to keep as reference. 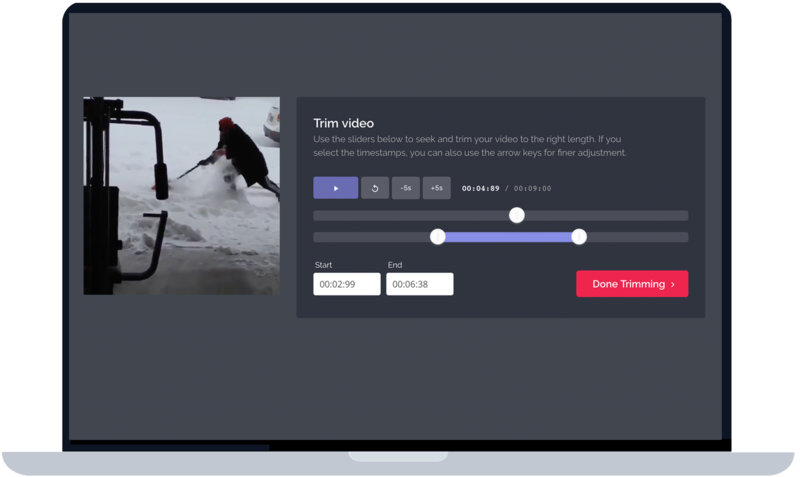 With Kapwing, you’ll be able to trim down long videos, leaving only the most important bits. You have a chance to get more creative with your content by using stop motion! Since it’s a bit harder for us to show you how it’s done, you can view it on Kapwing here! Using stop motion as a part of your next project, creative campaign, or content is, for sure, going to gain some type of traction with your audience, because it’s so unique-looking. It will take some practice to make an appealing stop motion, so definitely make a lot and practice with Kapwing. At the end of the day, you can only read so much about Kapwing’s features. Check it out for yourself, and let us know what you think! Do you like it, hate it? We want to know! Special thanks to Kapwing for giving us the opportunity to review this product! Next PostNext Post So you want to do an art show?